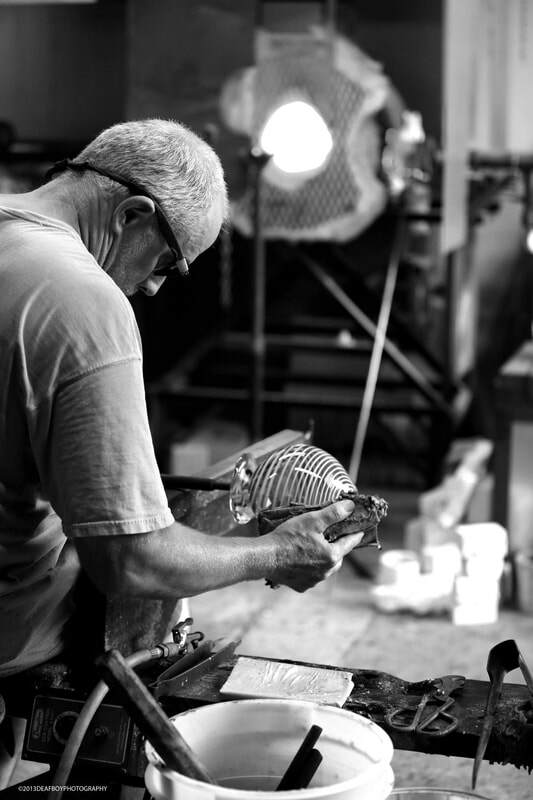 Fritz Lauenstein started blowing glass in 1974 at Gould Academy in Bethel, Maine. He then attended Goddard College in Plainfield, Vermont and the Massachusetts College of Art in Boston, Massachusetts. In 1984 Fritz and his wife June moved to the Cape, where his family is from, and opened Fritz Glass in 1991. A Cape Cod favorite, the family atmosphere at Fritz Glass gathers friends here every day, as well as visitors, to watch Fritz work. Customers can purchase one-of-a-kind glass pieces and also leave with a sense of community and, perhaps, a bucket of clams that Fritz dug that morning. If you live on the Cape or are vacationing here, a visit to Fritz Glass will be a fabulous experience for all ages. Stop by to watch glass blowing and purchase hand blown glass! Please keep in mind that Fritz Glass is a production shop and does not have set hours or a schedule for demonstrations. If you're traveling from a distance, please call or email first to make sure we're in the studio. The best in handblown glass since 1991. Open almost every day. Please call for hours.